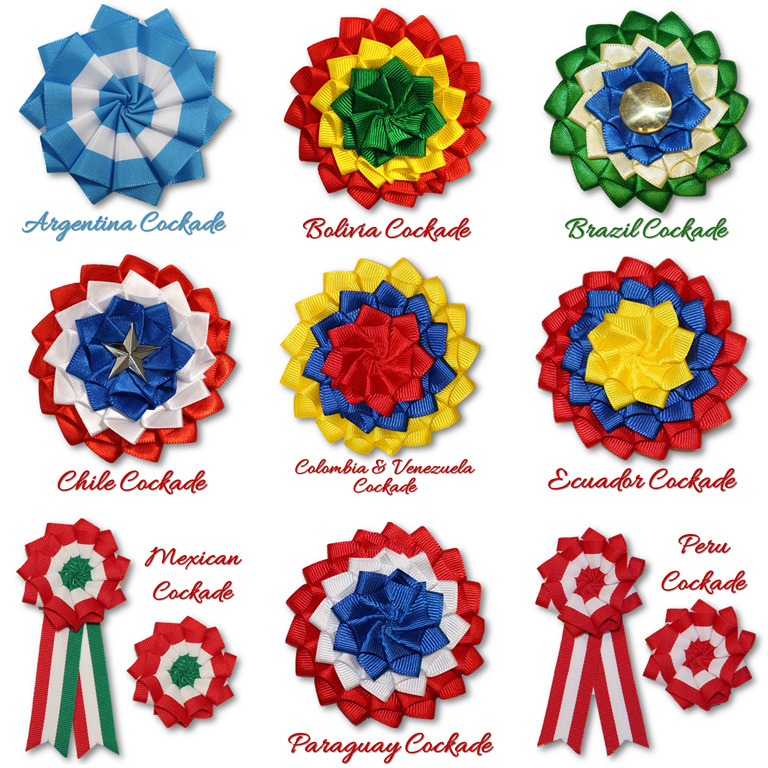 Cockades have been worn in South America since they were imported from Europe in the 1500s-1600s. The cockade showed allegiance to a cause or monarchy. All of the countries of South America had a distinctive cockade worn by their staff, military and followers. Choose your cockade to enjoy the cockade of your loyalty! If you are ordering more than 5, allow an extra week for me to create them for you.